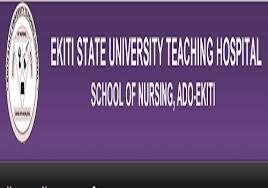 Ekiti State University Teaching Hospital (EKSUTH), Ado-Ekiti School of Nursing Final Interview Results and Admission List for 2018/2019 Academic Session Out. This is to inform all candidates who applied for admission into the School of Nursing, Ekiti State University Teaching Hospital (EKSUTH), Ado-Ekiti that the final interview results and admission list for 2018/2019 academic session has been released. Prospective Candidates are required to use their Scratch Card PIN to check their Written Interview and Final Interview Results. Please contact the office of the Pricipal, School of Nursing, EKSUTH, ADO-EKITI.